Southwest...The Little Quadrant That Could: Southwest is Most Like Which Other Neighborhood in the U.S.? Southwest is Most Like Which Other Neighborhood in the U.S.? DCist had a story today about comparing DC neighborhoods to other city neighborhoods using a tool from Homethinking. When I pulled up Southwest (they have it listed as South West), the website listed the city neighborhood most like Southwest to be Bay Colony Club in Fort Lauderdale, Florida with a score of 87 out of 100. Really? The scores used on Homethinking are calculated using demographic data from the Census, such as age, marital status, number of kids, and frequency of arts and culture activities. People can also make reviews about the results and those reviews can change the overall score for a neighborhood. Let's take a look at the two neighborhoods. On this website about Bay Colony Club, here's the neighborhood description: "The Bay Colony Club is a gated waterfront community that lets you unwind amidst a busy city. It is looked at as one of the most prominent island enclave. Balconies overlook the Intracostal Waterway of Fort Lauderdale. You will feel as if you are on vacation when you are here! The entrance into Bay Colony Club is guarded by a 24-hour security gate, once through the gate you enter the with beautiful tree lined streets. The Bay Colony Club offers superb amenities all throughout the property. There are three clubhouses each with sparkling pools and one has a Cabana bar with a pool located on the Intracoastal. They also feature meeting rooms, bathrooms, recreation rooms and workout equipment. The fitness club features state of the art workout equipment as well as sauna and showers. There are also six state of the art clay tennis courts on the property. Boaters can slip their vessels into one of our slips. They can accommodate vessels 50 feet and under, however the size is subject to change at any time. Condos in the Bay Colony Club feature large eat-in kitchens with stainless steel appliances, balconies that overlook the Intracostal Waterway, large French doors and stylish ceramic tile floors. The Club is conveniently located minutes away from the beautiful beaches of Fort Lauderdale. You can enjoy some of the finest shopping and dining the area has to offer a few minutes down the road. Many people come year round to enjoy the comfort of Bay Colony Club and its surrounding area." Now let's compare this description to Southwest. We are not a gated community, although the Southwest Freeway does act like a barrier to isolate us from the rest of DC. SW isn't an island, but we do have condos and co-ops that look over the Washington Channel. Whenever I go to Cantina Marina, I do feel like I'm on vacation, with the fake palm trees and all. We do have some nice tree-lined streets - G Street comes to mind. We have three swimming pools - Randall Recreation Center, Waterside Fitness Center, and East Potomac Park. Lots of apartment and condo communities also have pools. 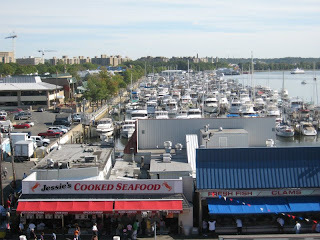 We have marinas and a live-aboard community, the only one I know of in the District. We can accommodate tall ships and yachts, like the Sequoia, the former presidential yacht. 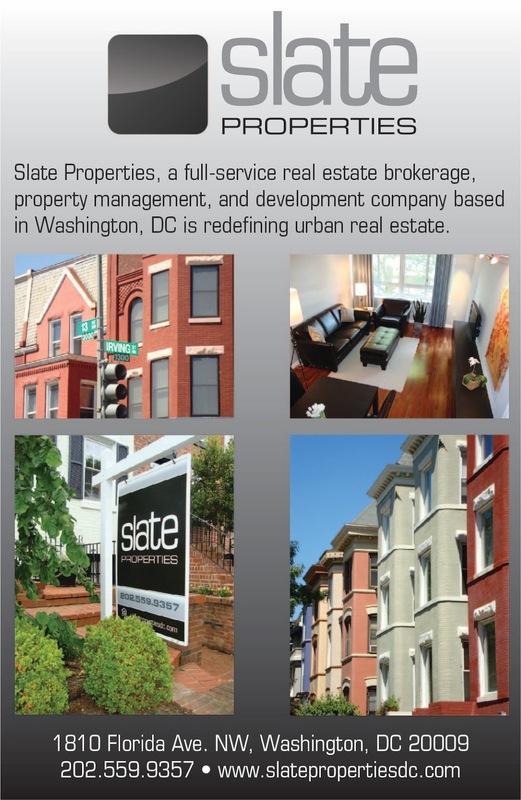 We can enjoy some of the finest dining and shopping that DC has to offer just down the road - like Georgetown or Capitol Hill, but it's too bad we can't currently do the same in our own neighborhood. We have people who come year round to enjoy our quadrant of the city, especially in the spring during the Cherry Blossom Festival. What do you think about these neighborhood comparisons?